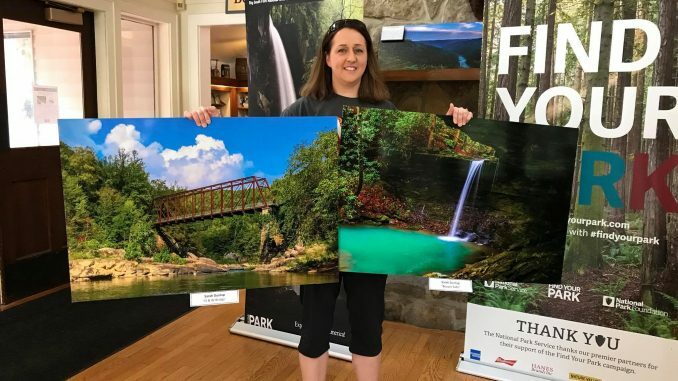 Oneida, TN (2018-09-06) Sarah Dunlap of Oneida and Nicole Newport of Helenwood recently took home top honors in three of the seven categories in the Big South Fork National River and Recreation Area’s annual Art-in-the-Park photography contest. Keri Williams, also from Oneida, received honorable mention for her entry. Dunlap, who is often seen behind the lens of her camera taking photo of local sports and community events, won top honors in two categories of the Art-in-the-Park photo contest. Dunlap’s colorful photo of Beaver Falls took home the top honors in the Tennessee Landscapes category. Dunlap score a second, first place entry with her picture of the O and W Bridge, which was scored best in the Cultural category. Newport’s photo entitled “The Milky Way Over Bandy Creek” was judged best in the Artistic category. 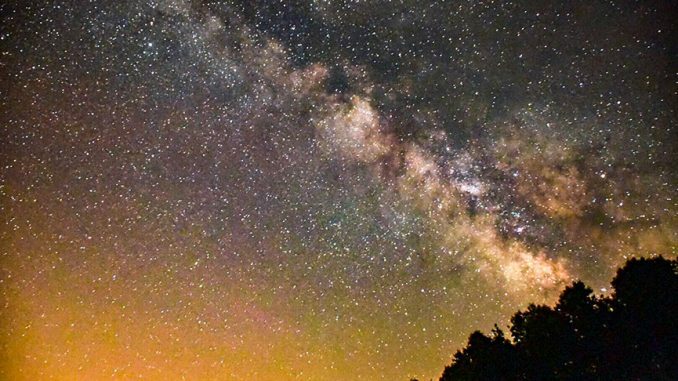 Nichole Newport’s entry, “The Milky Way Over Bandy Creek” took top honors in the Artistic category in the 2018 Big South Fork Art-in-the-Park photo contest. Williams’ photo of the O and W Bridge earned honorable mention for the judges. Winners were announced September 1, 2018 during a special reception featuring refreshments and live bluegrass music by Quentin Acres and Mark Hancock. During the Art-in-the-Park reception, guests were able to view the photographs submitted for this year’s contest and cast ballots for the People’s Choice category. The winner of this category was David Mashburn of Berea, Kentucky, with Devil’s Cave. The winning photos are on display at Bandy Creek Visitor Center, located at 151 Stable Road, Oneida, Tennessee. For more information, please contact the park at (423) 286-7275.